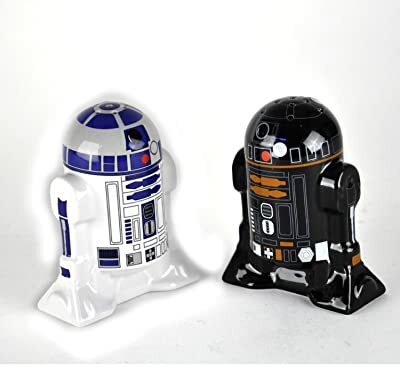 If you collect salt and pepper shaker sets, and especially if you are an R2-D2 lover, this unique pair is going make your Star Wars friends jealous. Or they might just run out and get one, too. I like the fact that they’re washable. No hassles for once. I’ll bet you hate cleaning some fancy ones as much as I do. Here’s to ceramic and simple! Check them out before other fans get there first. If these are out of stock at Amazon, you can also try ThinkGeek to see if they have R2-D2 and R2-Q5 in stock. Do you collect salt and pepper shakers? Or Star Wars or R2-D2 stuff? Share with other collectors here.